Q. 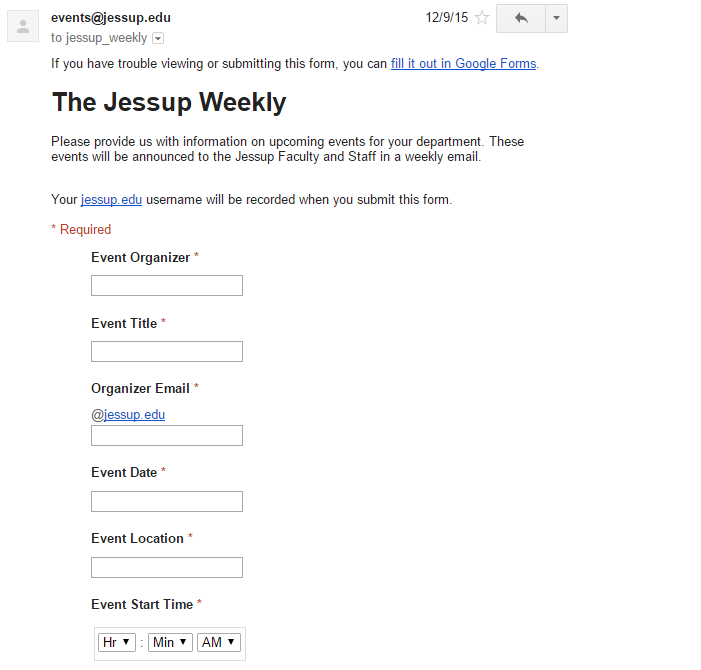 How do I add event(s) to the Jessup Weekly? I would like to add the notice about an upcoming event. You can simply submit the form from within the email interface that gets sent out. If you haven't been getting these emails, please contact events@jessup.edu. You can also submit you event announcements online. Simply click here to submit your upcoming event to be published in the Weekly.